Explore Adams Morgan, support local businesses, and find a date for every love! How can you choose? Nearly two dozen date packages present the best eats, treats, sweets and activities in Adams Morgan for relationships at every stage — for the first date, the whiskey drinker, the oenophile, the comedy lover, or a full family affair with a stop for cookie dough after a fun-filled afternoon. Spots offering discounts are highlighted in yellow. Don’t forget to fill out the form on this page to get the code for your discounts. Unless otherwise noted, specials are valid throughout February and March, 2019. To redeem the special, you will need to fill out the form on this page to enter the contest and you will receive a code via email. You must give this code to your server before ordering to ensure your receive the discount. Promotions are subject to change without notice. The Diner: Free Tryst Blend coffee with purchase of dessert. Valid after 5:00pm. Hudson & Crane: Book your 30-minute in-studio design consultation as part of your date night and they’ll provide 2 complimentary glasses of Champagne and a gift. Tryst: Free Tryst Blend coffee with purchase of dessert. Valid after 5:00pm. @AdMoBID on social media at least once on their date. Enter to win several amazing date packages, including dinner at some of Adams Morgan’s finest restaurants (and maybe even overnight at the LINE Hotel!) by filling out the form below. When you register for the drawing, you will receive an email confirmation with a discount code redeemable for specials all over the neighborhood in February and March. Discounts are live February 1 – March 30, 2019. Date winners must agree to tag @AdMoBID on social media at least once on their date. How do I enter to win a date package? Fill out this form and your name will be entered into a database. Names will be randomly chosen for at least three fabulous date packages on February 19, March 4, and March 18. My best date ever was in Adams Morgan: how can I tell my story? We love to hear about your lovely dates! Tag us on social media @AdMoBID #admodates and tell us the whole, detailed story. You didn’t include my favorite date in Adams Morgan. Can you add it to the lineup? 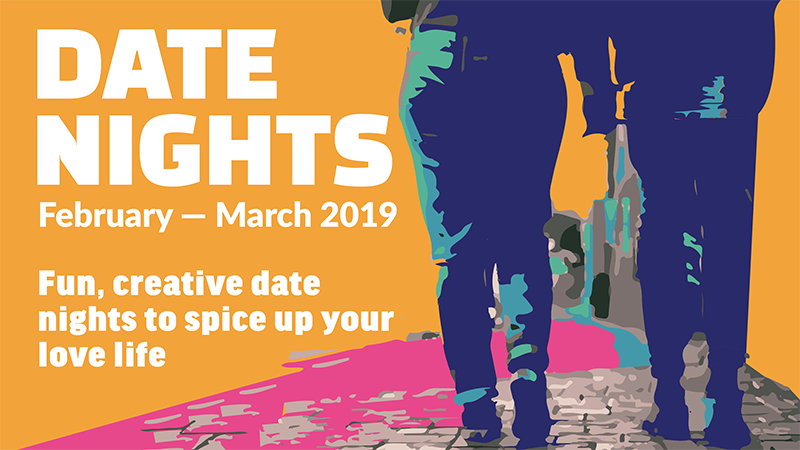 There are hundreds of possible creative and interesting date options in Adams Morgan, and we couldn’t possibly list them all. Drop us a line and share your favorite date night, or contact us on Facebook or Twitter.